Uzbek Sum (UZS; symbol лв) = 100 tiyn. Notes are in denominations of лв1,000, 500, 200, 100, 50, 25, 10, 5, 3 and 1. Coins are in denominations of лв100, 50, 25, 10, 5 and 1, and 50, 20, 10, 5, 3 and 1 tiyn. Acceptable in some of the major hotels in tourist centres. 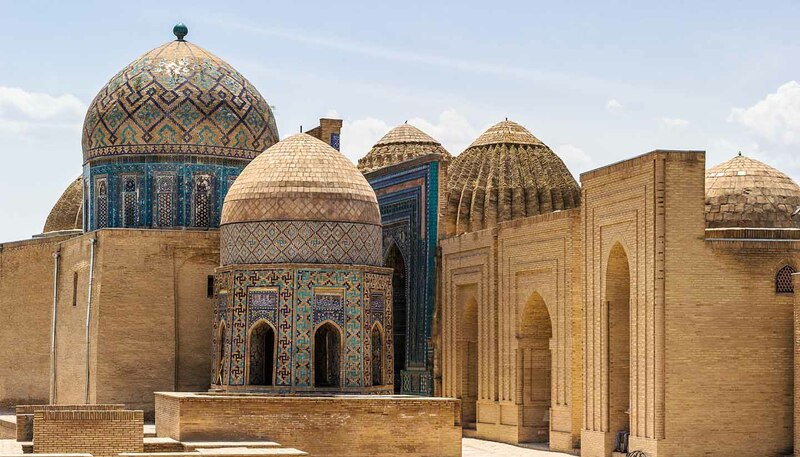 Uzbekistan has said that it intends to introduce its own Visa card in the near future. Credit cards are now accepted at an increasing number of midrange and top-end hotels and at (very few) top restaurants in the capital. ATMs can be found in Tashkent. For cash advances in rural areas, MasterCard users should look for Asaka Bank, while Visa and Amex holders will usually (but not always) be able to get cash advanced at National Bank of Uzbekistan. Always take your passport with you as proof of ID when requesting a cash advance. Very limited acceptance, especially outside of the capital. Be sure to list your travellers cheques on your customs declaration form or you won’t be able to cash them. There are no restrictions on the import or export of local or foreign currency. The import of foreign currency exceeding US$2,000 requires proof of lawful exchange, otherwise an import fee is payable. Tourists and businesspeople without special status have to pay for hotels, hotel services and transport in hard currency. All bills are normally settled in cash. US dollars are the most widely accepted foreign currency, by far. Euros and Sterling will attract much poorer rates of exchange. It is illegal to change money on the black market and penalties can be harsh, although in the provinces this is sometimes the only way. Money exchangers can be found in bazaars but be wary of corrupt police who will demand large, on-the-spot fines if they catch you – undercover police are not unheard of. Banks and the currency exchange bureaux in major hotels will change at the official rates (which nowadays, due to reform, are about the same as the black market).